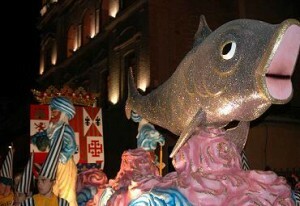 Na festivities na Carnival, nó Carnava l, mar go bhfuil sé ar eolas sa Spáinn, tús ar an Déardaoin, Februrary 16 ú na bliana seo, atá aitheanta in Barcelona mar Dijous Gras nó 'Maundy Déardaoin.' Tá an lá tiomnaithe de ghnáth do na indulgence agus craos bhaineann leis an teacht na Charghais, agus sa Chatalóin, butifarra delicious agus tortillas iad a ithe go forleathan. Tarlaíonn na cheiliúradh deireadh seachtaine imeacht i rith gach lá agus oíche. Líne Paráidí na sráideanna, agus a roinnt ar muintir na háite agus turasóirí araon san atmaisféar excitement, béal-watering ealaín, agus páirtí. 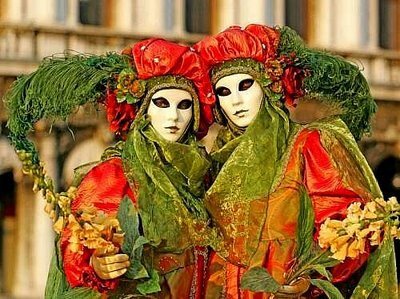 Feicfidh tú gach duine cóirithe i masks, dathanna geala, agus cultacha extravagant, ag cruthú atmaisféar Oíche Shamhna-stíl le linn chuid seo den fhéile. Dé Máirt an lá deireanach den partying, mar go bhfuil gach nóiméad deireanach de indulgence sáithithe suas roimh tosú an Charghais. Ar an lá seo a leanas, a thógann an Chéadaoin an Luaithrigh, an sochraide an sairdín ar siúl. Éagann an rí carnabhail agus na dathanna exuberant agus flashy na cultacha dul chuig dubh a mourn a bháis. Go minic is féidir le sairdín (uaireanta mór go leor agus déanta as páipéar-papier) faoi thalamh i ar an trá nó dóite, a chreidiúint go leor é chun symbolize a thabhairt suas sairdíní do Charghais. Ag fanacht in Barcelona Is iontach i rith an ama de festivities electrifying. Ach cé go ndéanann sé páirt forleathan sa chaingean na Carnival, nach bhfuil sé ar cheann de na cathracha is mó sa Spáinn chun dul "uile-amach." Má tá tú ag tabhairt cuairte Barcelona leis an teaghlach nó atá á lorg agat a bhfuil blas ar an ngníomh in éineacht le sraith endless na seoda fámaireachta, ansin tá Barcelona an áit do tú. Tá go leor árasán Barcelona i suímh foirfe, gar do gach ceann de na príomh-paráidí, a bheidh ar siúl ar fud na cathrach i mbliana. Fanacht i gceann de na árasán Ramblas in Barcelona, ​​suite go lárnach agus leis na taitneamhachtaí is gá, agus ar chumas féin rochtain éasca ar gach ceann de na cheiliúradh Carnival. 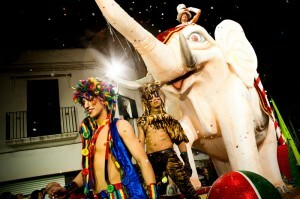 Má tá tú ag iarraidh a chur ar na festivities Feabhra go dtí an iomlán, agus ba mhaith leat a chomhfhiontar beag breise lasmuigh de Barcelona, ​​ansin an Carnaval Sitges Is rogha cinnte ar do shon. Suite díreach 40 nóiméad ó dheas de Barcelona an traein, is é an baile trá na Sitges abhaile le ceann amháin de na cheiliúradh Carnival is mó sa Spáinn. Bíonn na paráidí is gile agus is íocónach i Sitges siúl ar an Domhnach, 19 Feabhra, agus Dé Máirt, 21 Feabhra, cé go bhfuil imeachtaí iontach go leor ag tarlú go léir deireadh seachtaine sa phobal aerach is mó sa Spáinn. Na cultacha, cheiliúradh, bia agus deochanna, gach a chur leis an t-atmaisféar páirtí unforgettable agus coimeádann an ceol caidéalaithe damhsa tú gach oíche ar fad. Is Sitges baile cois farraige pictiúrtha i rith an lae, ach a fhios sé conas a ligean ar a chuid gruaige síos, agus i rith na seachtaine de Carnival, a festivities i gcomparáid go minic leis na cinn de Mardi Gras. Chun a fháil chun Sitges ó Barcelona, ​​is féidir leat a chur ar an Rodalies Barcelona, ​​oibriú ag Renfe. Tá 10 stáisiún lonnaithe in Barcelona, ​​ar fad a aistear go minic a reáchtáil chun Sitges, ag ligean duit dul agus teacht ar ais an lá céanna, más gá. An stáisiún is áisiúla a fháil chun Sitges, áfach, an stáisiún Barcelona-Sants, a nascann le traenacha ó stáisiúin go leor eile, freisin. Tá na stáisiúin bainte amach go héasca ar an mbus, meitreo, nó fiú ar scór ó chuid is mó árasán lárnach in Barcelona. Mar sin féin, tá go leor árasáin Sitges iontach, ceart suite ag an trá, más rud é gur mhaith leat a bheith in áit níos gaire don spraoi ann freisin! 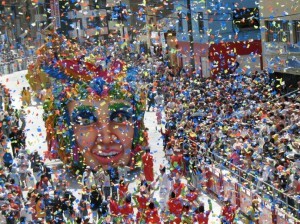 Is cuma cén áit a shocraíonn tú chun fanacht, páirtí, agus a cheiliúradh, tá Carnival in Barcelona agus Sitges taithí nach féidir a chailleann tú cinnte. Cuireadh i bpost an iontráil seo i Bars & Nightlife, Imeachtaí, Áiteanna agus clib árasán i Sitges, Barcelona cóiríocht, árasáin Barcelona,​​ cultúr Barcelona,​​ ócáidí Barcelona,​​ féilte Barcelona,​​ Barcelona bia, barcelona nightlife. Leabharmharc an permalink.